When I hit Toys R Us and found my First Edition Terrorcon Cliffjumper, little did I know that another First Edition pack would soon arrive. 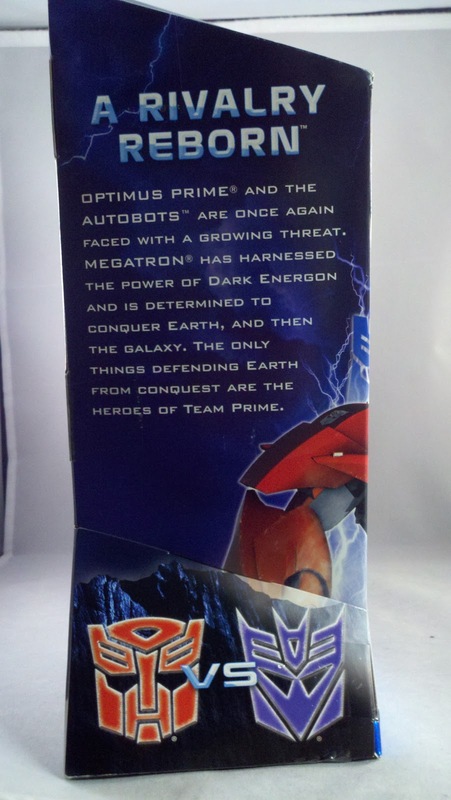 A follow up trip to Toys R Us yielded this gem, the First Edition Optimus Prime vs. Megatron DVD 2pk. 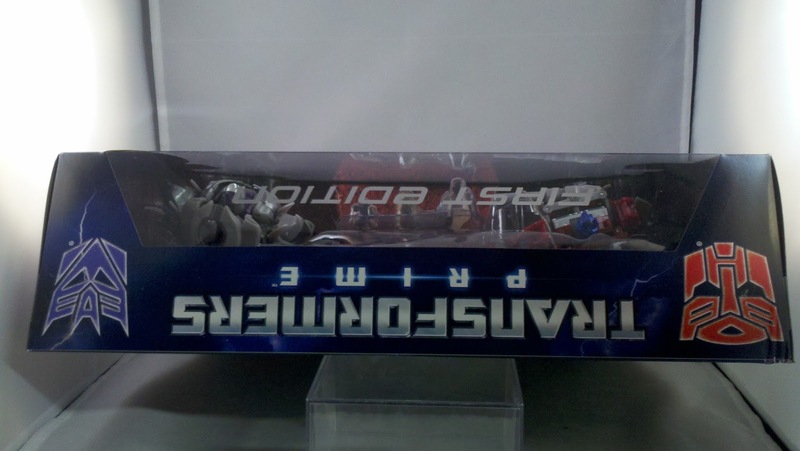 Not only do we FINALLY get the Deluxe scale Optimus mold that we received as an SDCC exclusive in 2011, we get a Deluxe scale Megatron and figurines of the 3 resident humans, Jack, Miko, and Raf. Does this set warrant an epic battle, or just a punch in the robits? 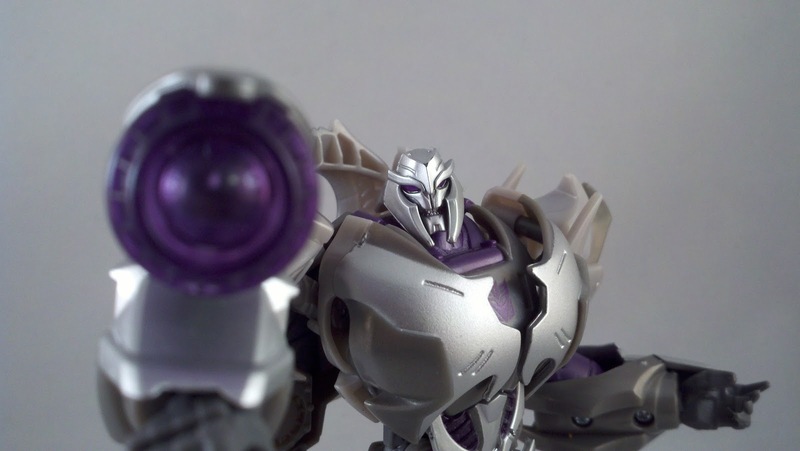 Check out Part 1 as I take a look at the human characters and Megatron after the jump! 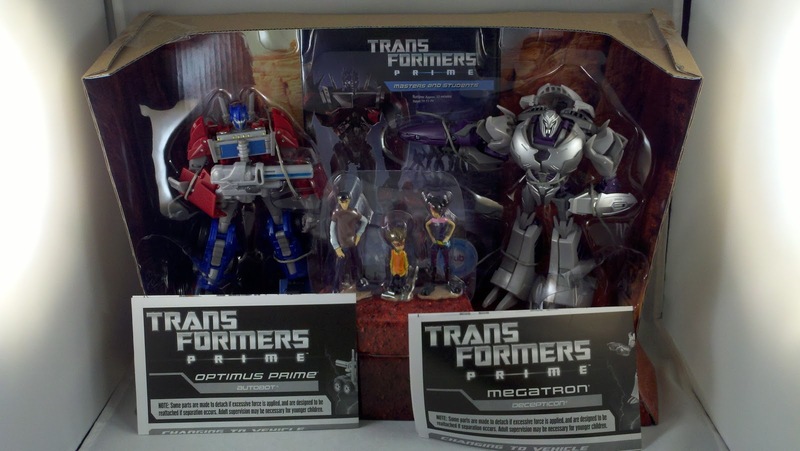 Toys R Us recently received and influx of re-released First Edition molds... one of which is the new Optimus Prime vs. Megatron DVD 2pk. Seeing this set on the shelf was pretty darn exciting for me. 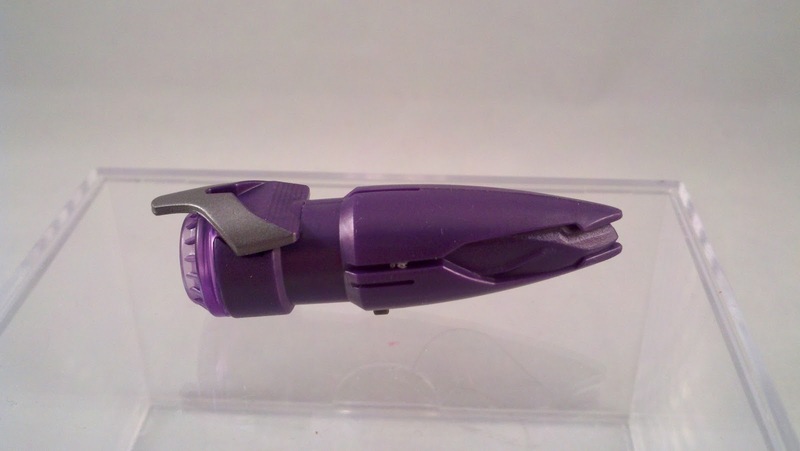 Already having a version of the Optimus mold from 2011's SDCC, I was still happy with getting this mold again. 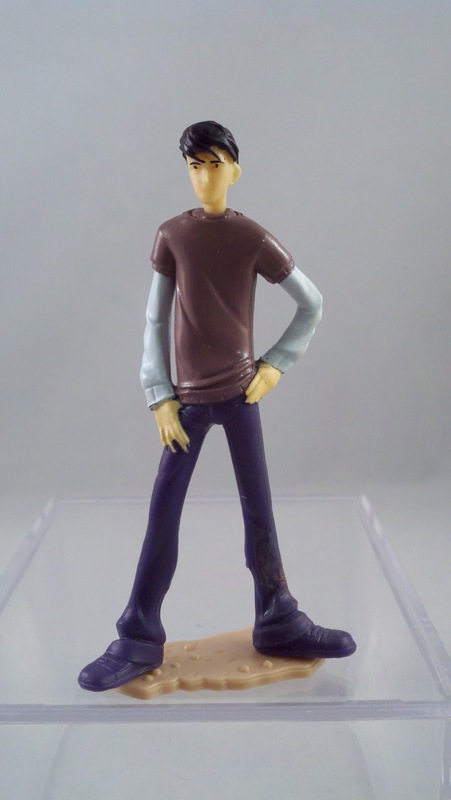 The human character figurines are a nice throw in, but since they are figurines and not figures, I'm pretty meh on them. They'll just stand in my TF:Prime display shelf and do nothing. 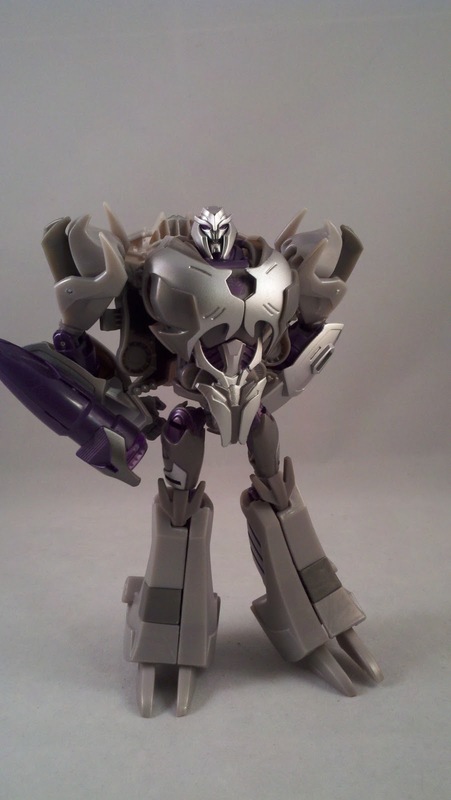 To my very pleasant surprise, we get a very nice version of Megatron in this pack. 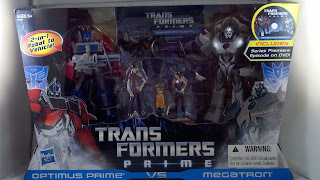 The packaging is standard fare for the TF:Prime First Edition line; a dark blue box with character art from the CG models and foil stamping. The 'First Edition' wording is stamped across the top of the window. 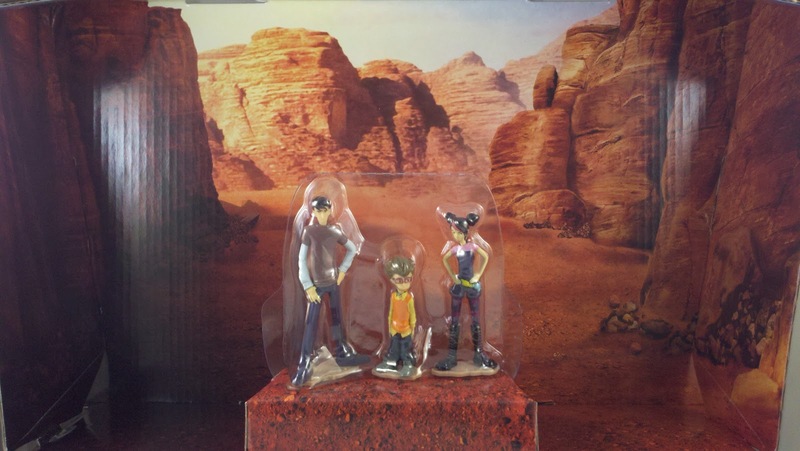 The figures are packaged in Bot mode with a small raised portion inside for the children. 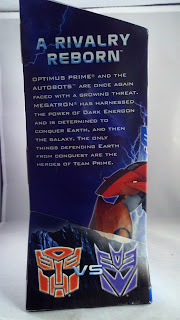 The side of the package gives us a nice little narrative regarding the main plot for Transformers: Prime. Other notes and pics on the box depict Optimus and Megatron in both Bot and Alt modes along with a pic of the kids, and there is a nice yellow note reminding us about the DVD packaged within. Open the box and pull out the tray, The instructions, as usual, are underneath. The plastic tray is taped into place but once freed, slides out from behind the base the kids are on. The DVD case slides right out. 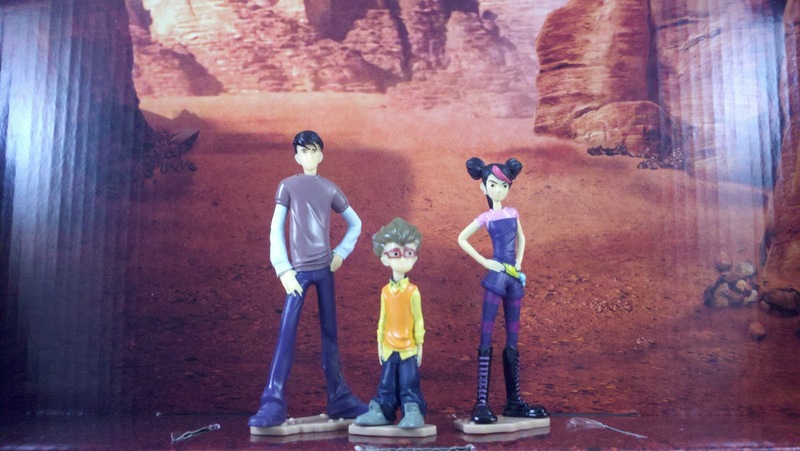 The figurines of Jack, Miko, and Raf are just that, figurines. 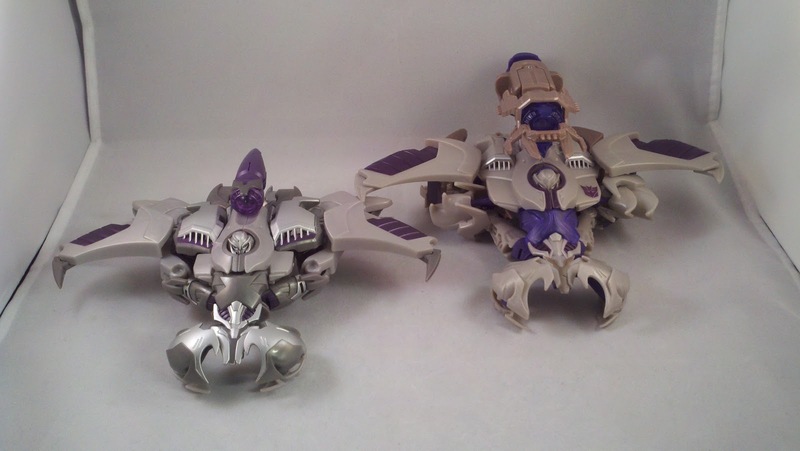 They're static and have no articulation built into them. They do have quite a few paint apps that make them very true to the show; though I found the eyes a little lacking... just cold, black dots. They come mounted on small brown bases that they can be detached from. 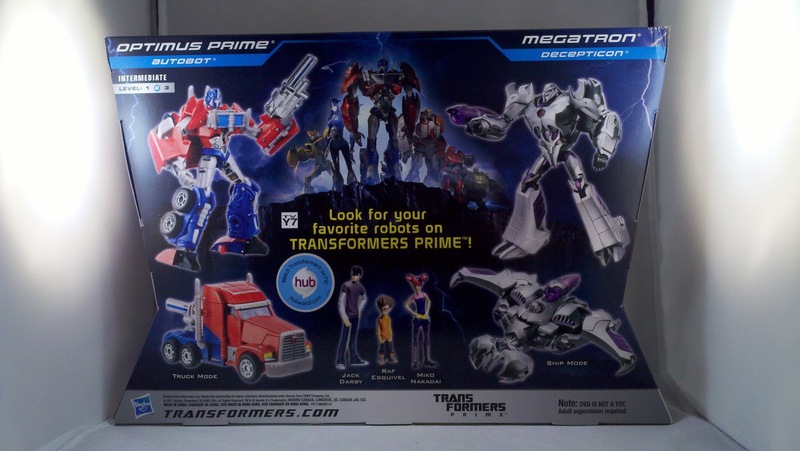 The decco on the box insert is that of the mesa that the Autobots base is located and they look nice against it. 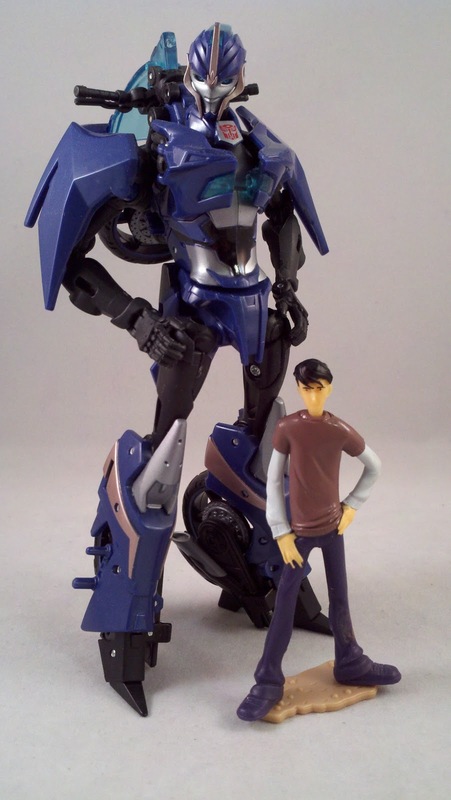 As with all things scale-wise, the figurines are in no way to scale with their companion bots. 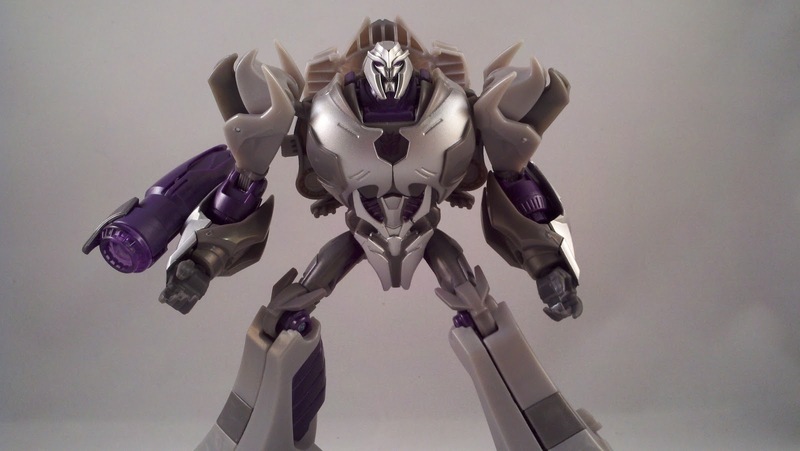 The first actual figure we're going to take a look at is the Deluxe scale Megatron. First impression... I. Like. This. Figure. 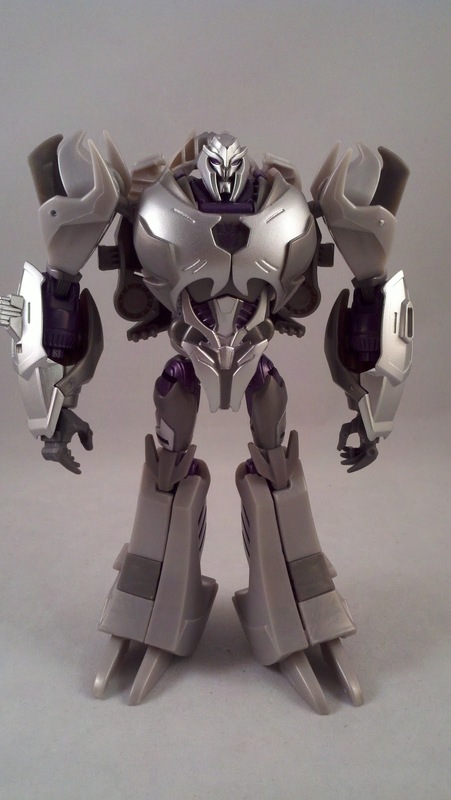 Since he's a Deluxe scale, this Megatron is certainly not in scale with some of the other figures in the TF:Prime/RiD line. 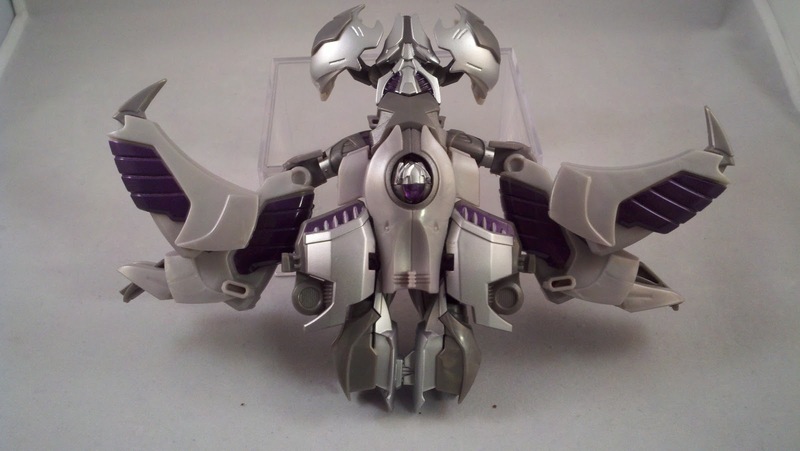 The Voyager/Powerizer scale Megatron is much better for that. But, this Deluxe scale looks SO much better in my opinion. 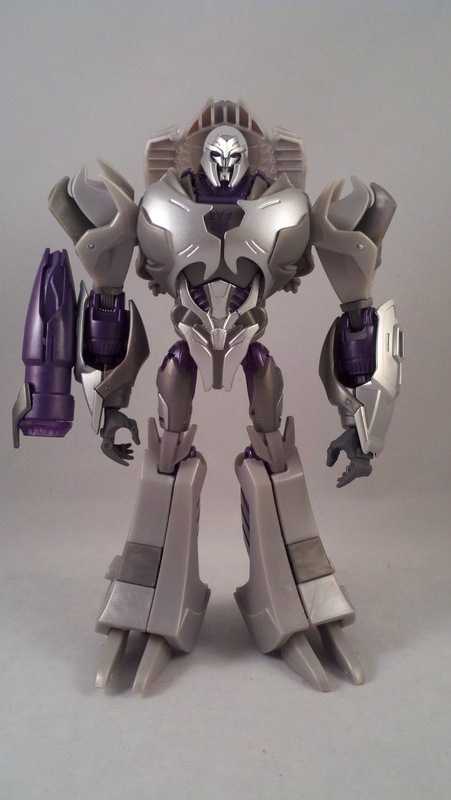 Molded in primarily grey plastic, Megatron has some really nice purple and silver paint apps that make him much more show accurate than his Voyager/Powerizer scale counterpart. He's silver... not tan. 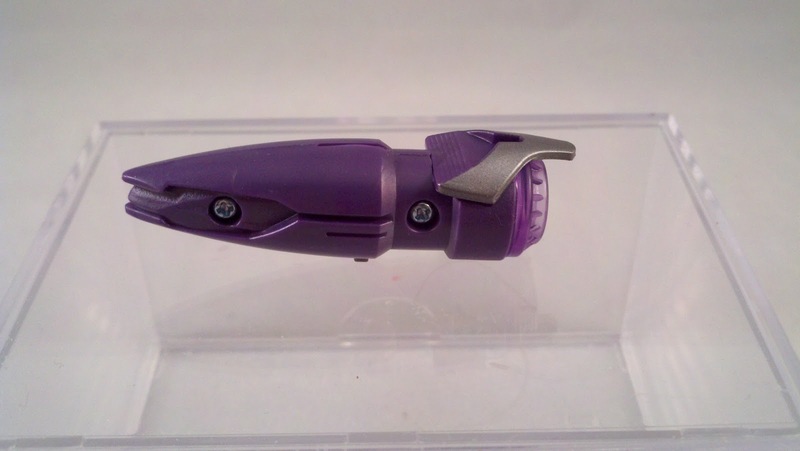 For me, that was a big drawback to the larger fig (not to mention the Meh-tech weapon). 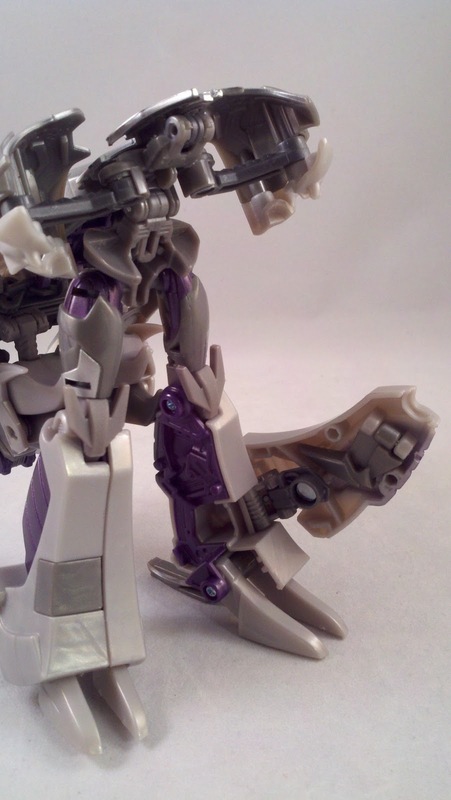 Megatron's accessory is, of course, his Fusion Cannon. There really isn't a whole lot to it. 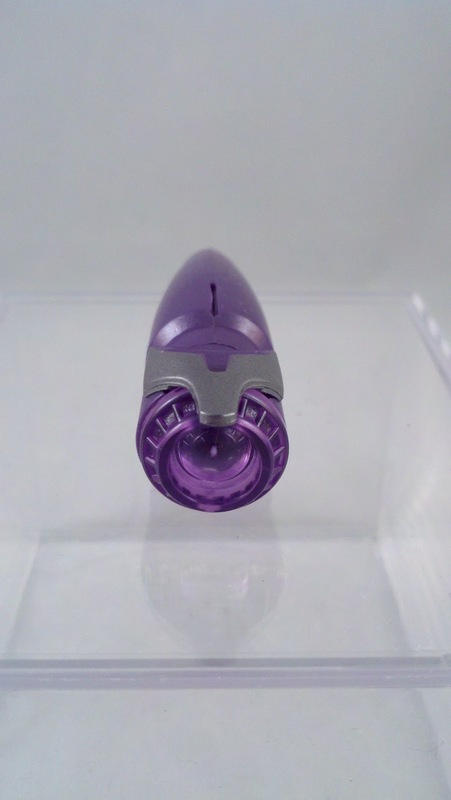 It's molded in purple and clear purple plastic with a silver paint app. 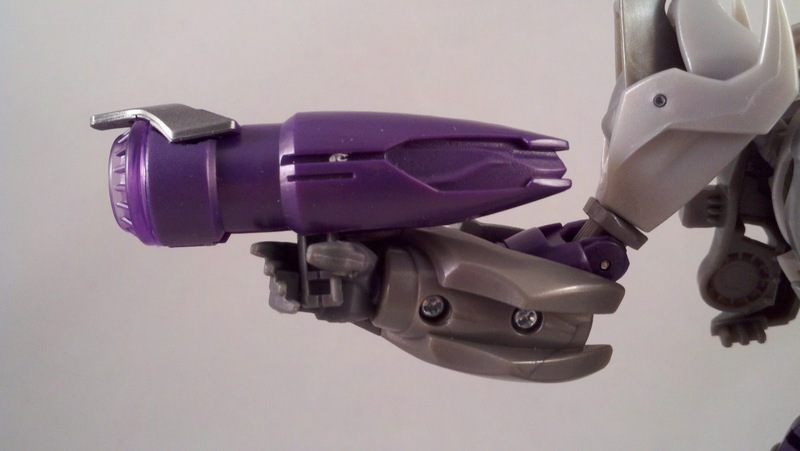 It snaps easily onto Megatron's forearm. When you free Megatron from the tray, you'll notice that the Fusion Cannon is actually held in his hand via a pistol grip. 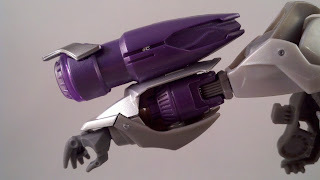 There is a handle that folds out allowing Megatron to hold cannon as a gun rather than having it arm-mounted. 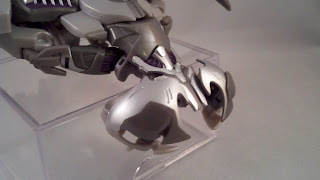 This kind of goes against how almost every Meagtron has been armed so my Megatron won't be displayed this way. 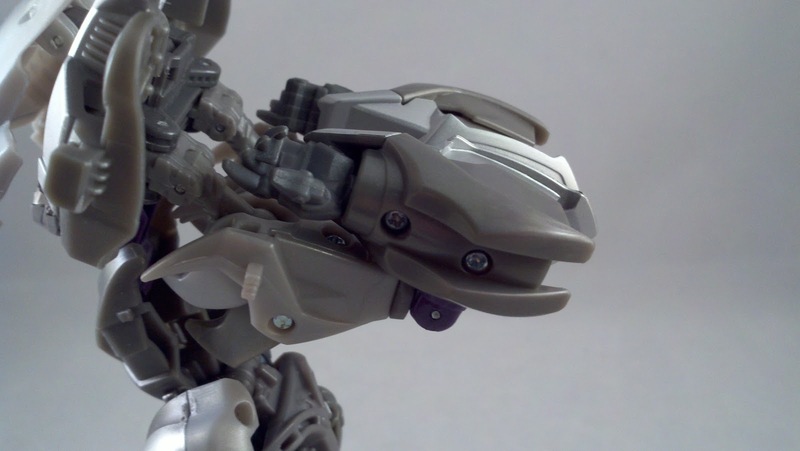 Megatron has fairly good articulation. Of course the mold has a few issues due to the look of the character, but I found that the myriad of ball joints, swivels, and hinges does allow for some nice posability. 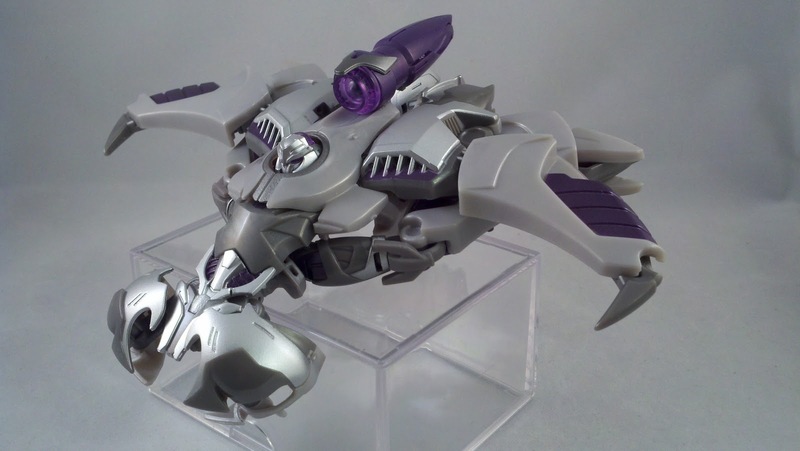 Deluxe Megatron's transformation is very similar to Voyager/Powerizer Megatron's. 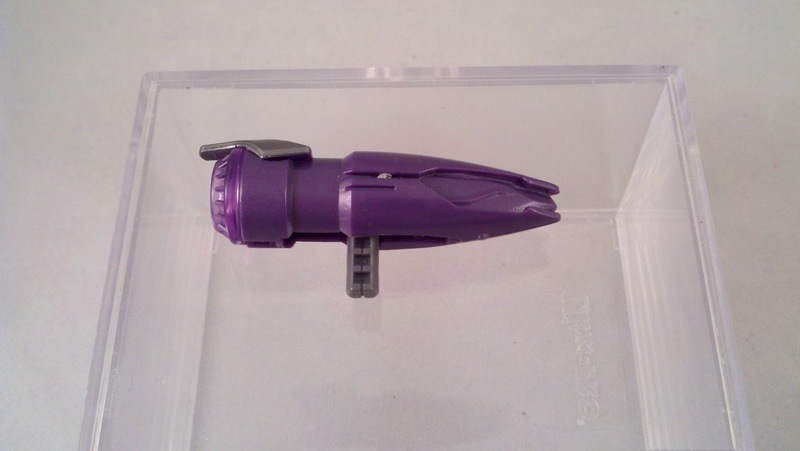 Remove Megatron's Fusion Cannon. 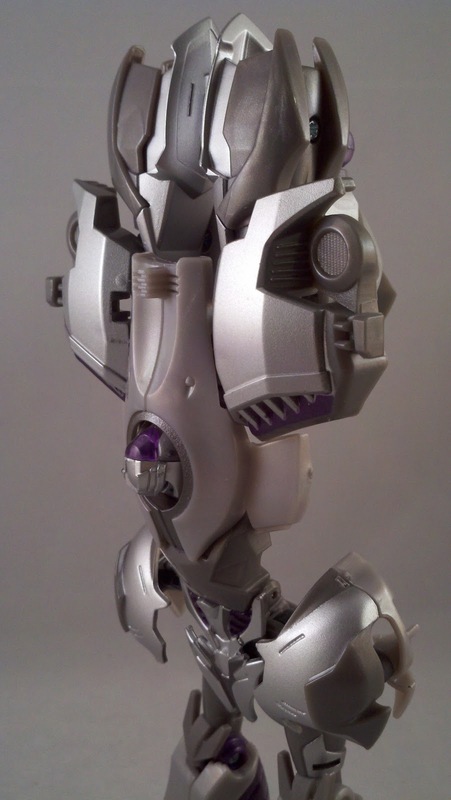 Flip Megatron's back section up. 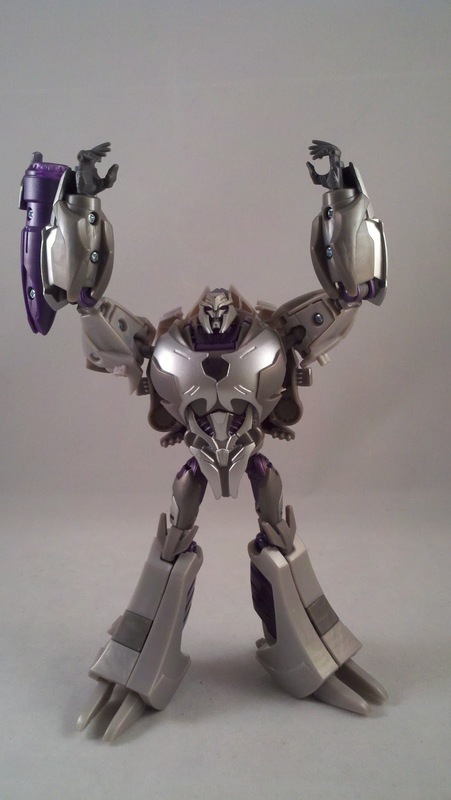 Pull Megatrons chest plates down towards his waist. 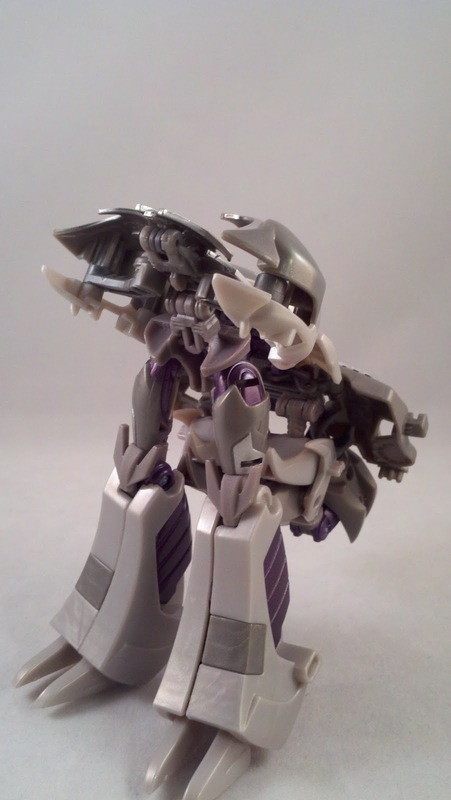 The two grey sections on Megatron's back get pulled out to the sides and his arms get folded onto themselves from the elbow. 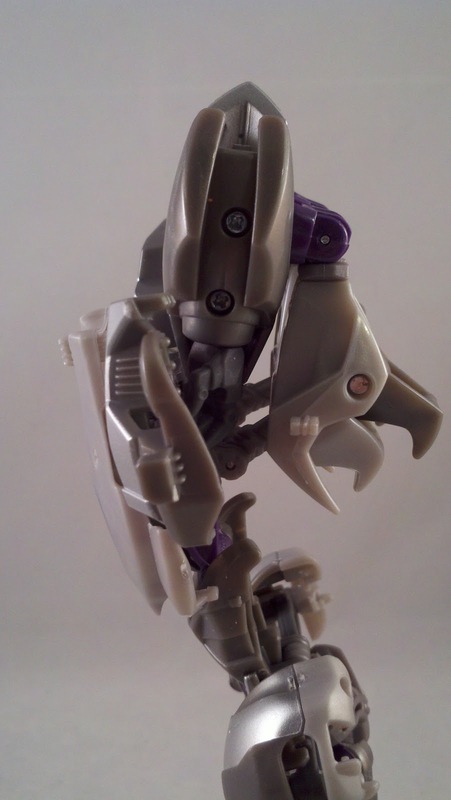 The mount for his Fusion Cannon becomes the peg to slot into his other forearm to hold them together. 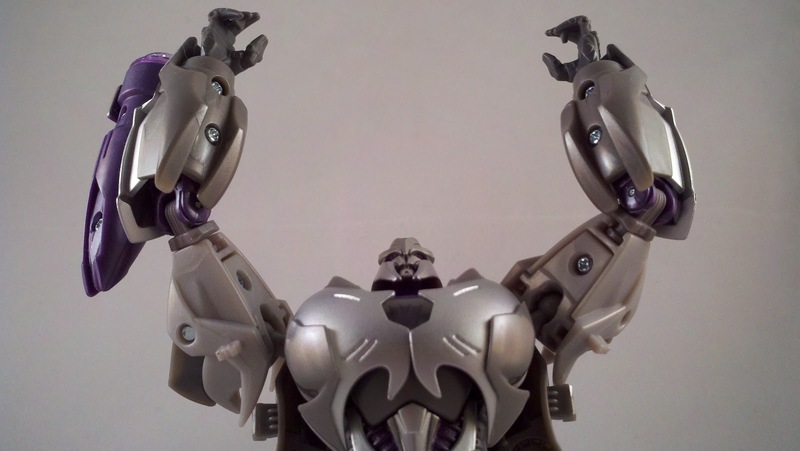 Fold Megatron's back all the way up and slide the panel over his head . 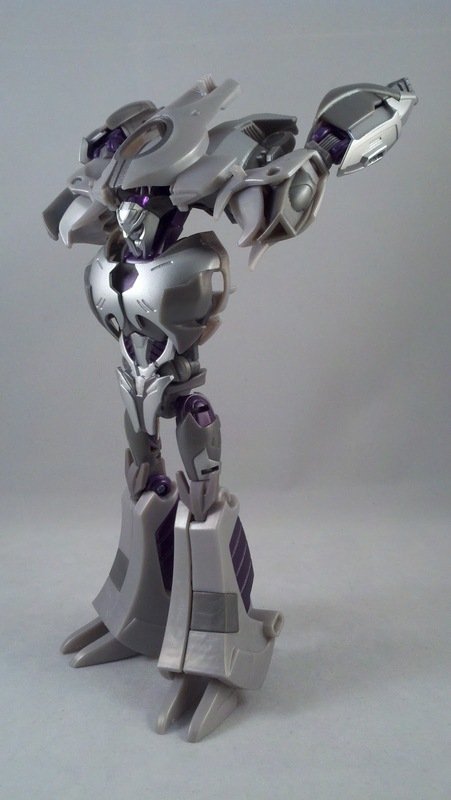 Fold Megatron back at the waist. 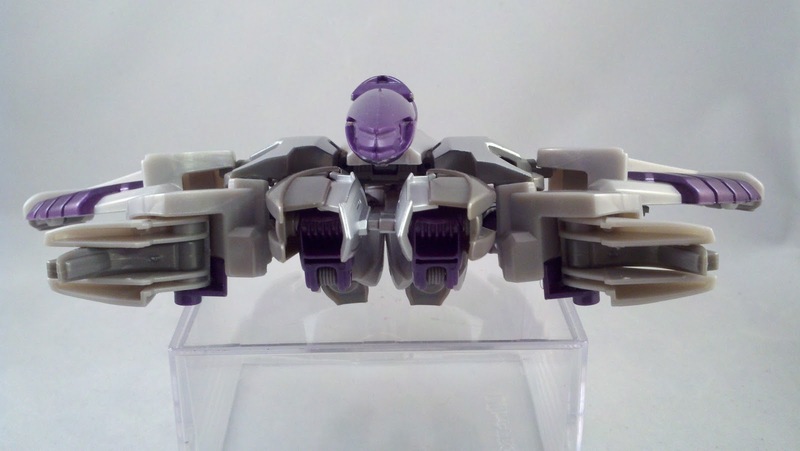 There is a bar that is hinged behind his crotch that will allow his legs to get folded back. Open Megatron's legs up from the inside and swing the panel out to the outer side of the leg. Swing the wingtip out of the leg. 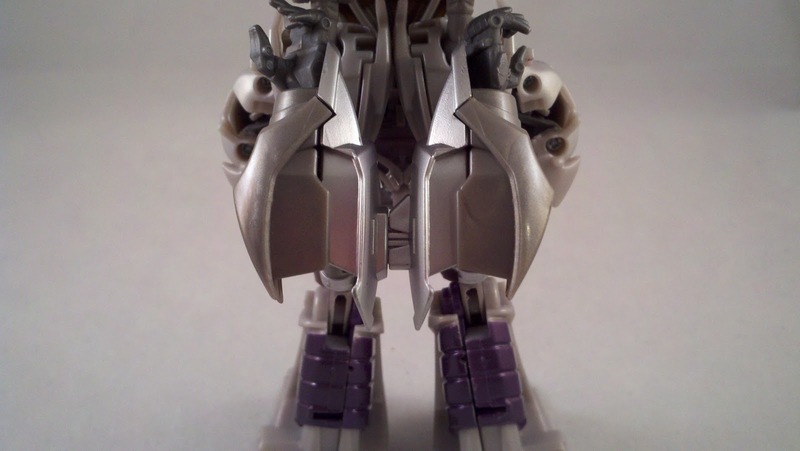 Rotate and fold Megatron's legs in towards the body. 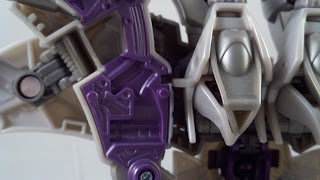 On the back of Megatron's legs are slots that will connect to the tabs on his shoulder plates. 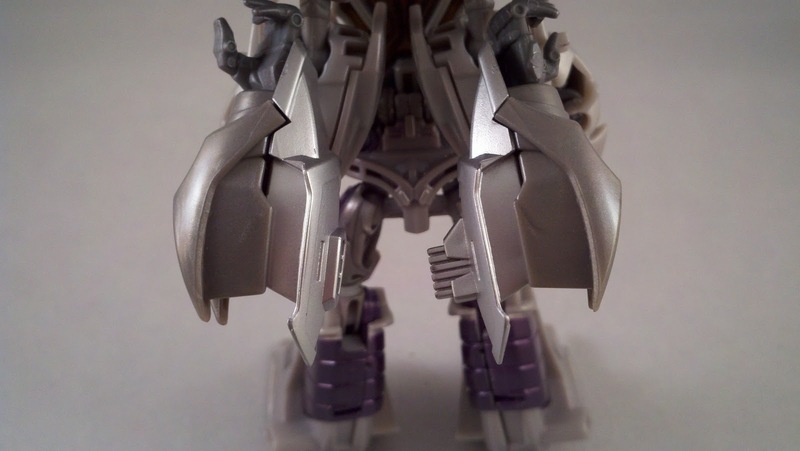 There are slots on his ankles that will connect into the tabs on the grey plates from his back. 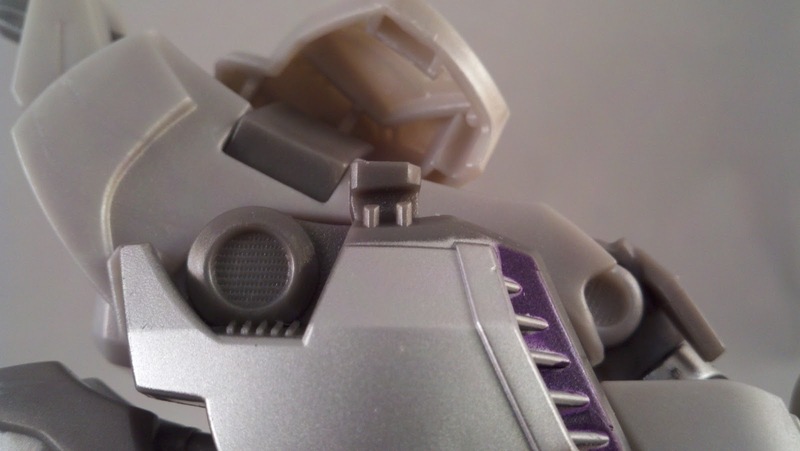 The panel from his inner leg has a slot that will connect to the upper tab from the grey back panel. 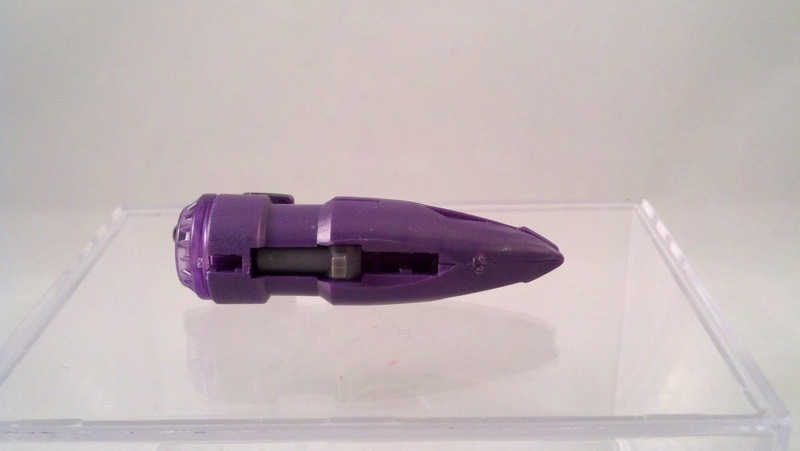 Snap the Fusion Cannon onto the top panel of the Alt-mode to complete the transformation. 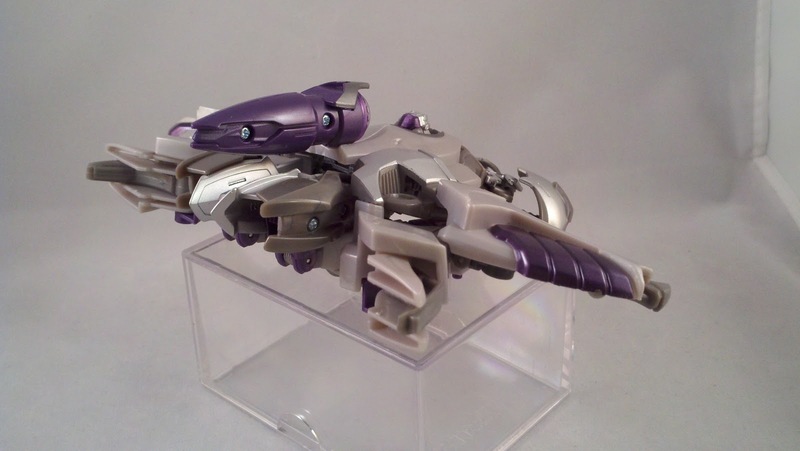 Compared to Voyager/Powerizer Megatron, I feel that this is a much cleaner and sturdier transformation leaving a LOT less kibble hanging out of his Alt-mode. 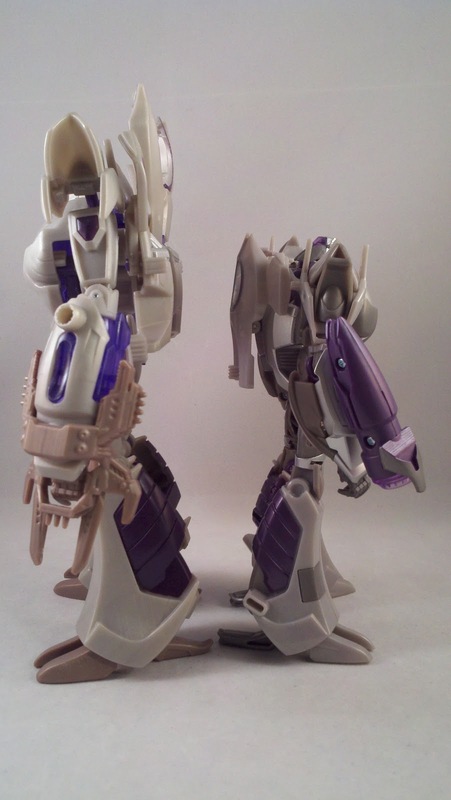 Size wise, obviously Voyager/Powerizer Megatron is larger that Deluxe Megatron by about an inch and a half. 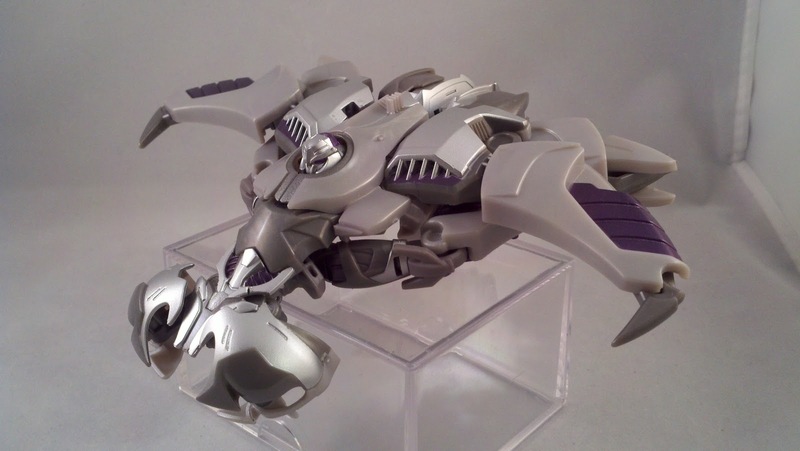 Deluxe Megatron doesn't suffer from either Meh-Tech weaponry or odd, needless, secondary weaponry. The most stand out difference to me, again, is the color. 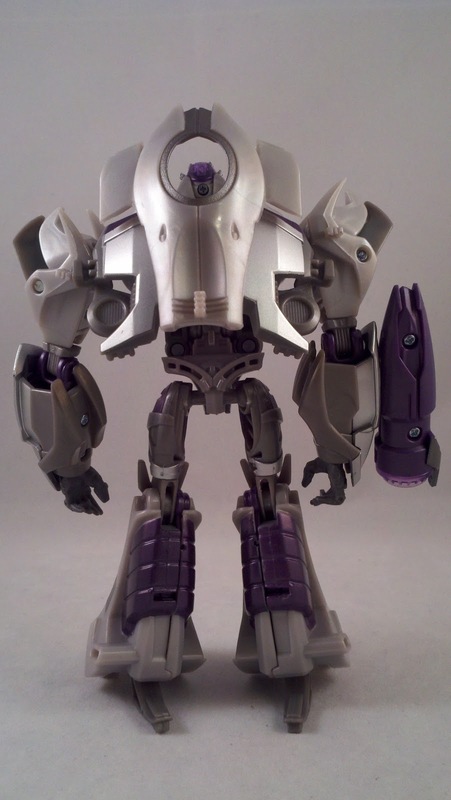 There are no shades of brown in the Deluxe scale Megatron. 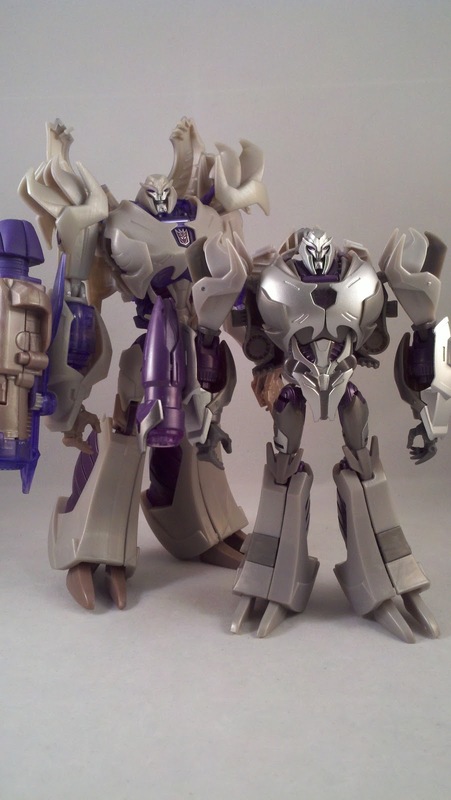 Why Hasbro went with this color scheme versus the more accurate silver scheme is unknown. 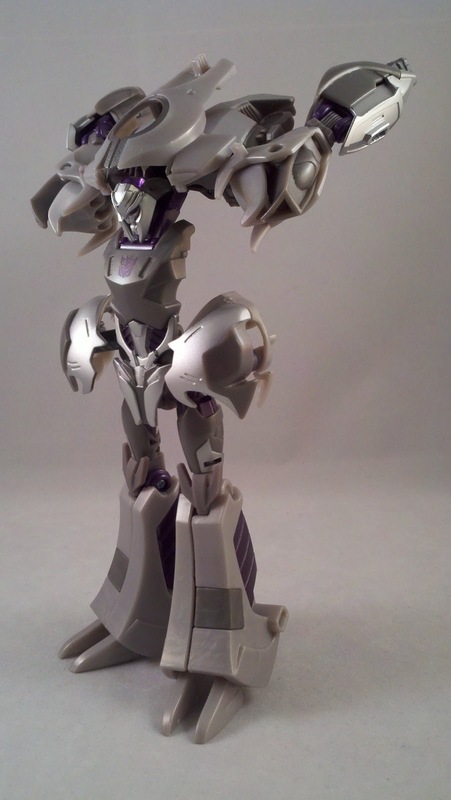 The Deluxe Megatron is definitely better looking. 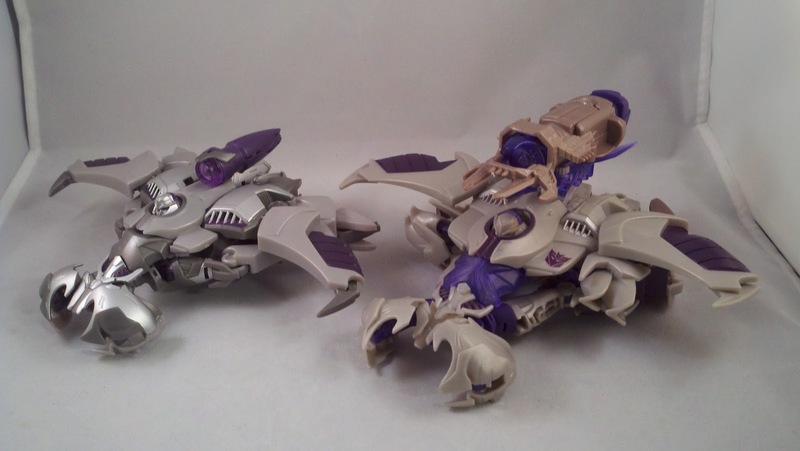 The two vehicle modes are comparative in look. 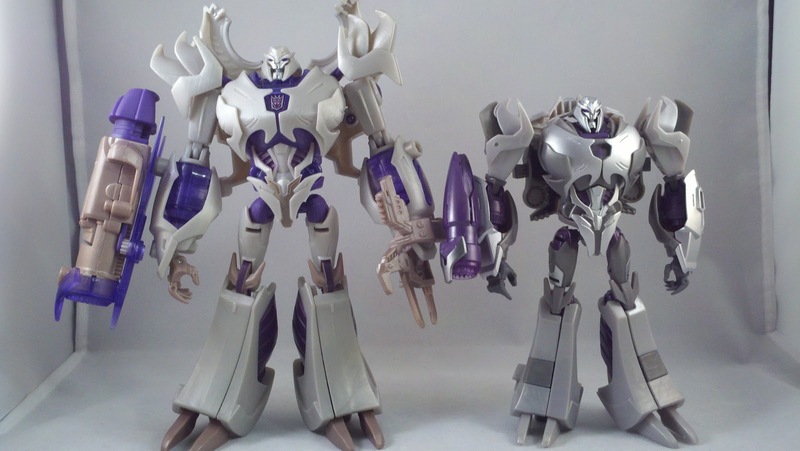 It just feels as if since Voyager/Powerizer Megatron is bigger, they may have gone with a few more gimmicks for his transformation that weren't needed. His shoulders are just pushed out side of the body while the Deluxe versions are underneath and pass for landing gear. 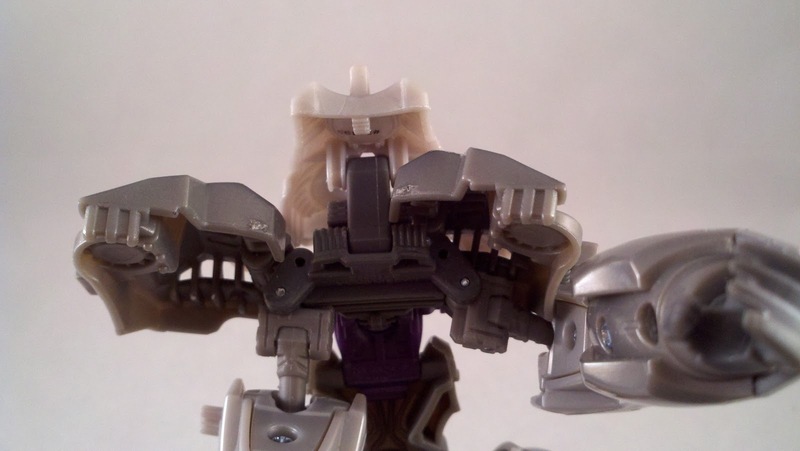 Unless I'm transforming the larger one wrong, the arms just hand out the back while the Deluxe version has them nice and folded up into the rear of the Alt-mode. 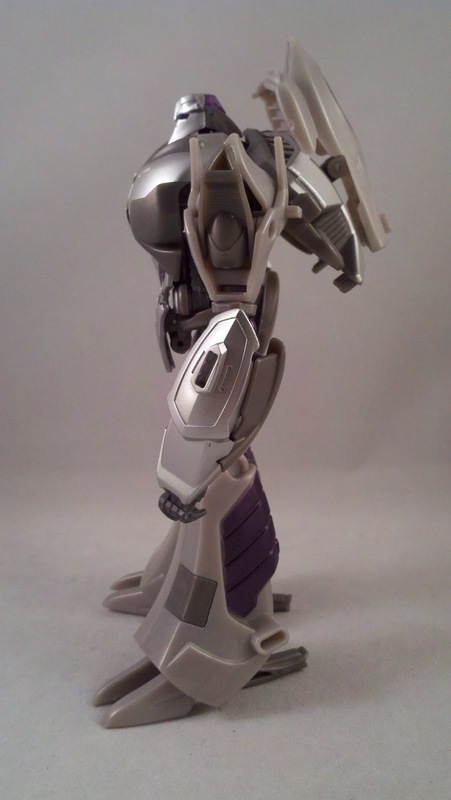 Check back in later this week for a look at the second half of this 2 pk... Deluxe scale Optimus Prime. 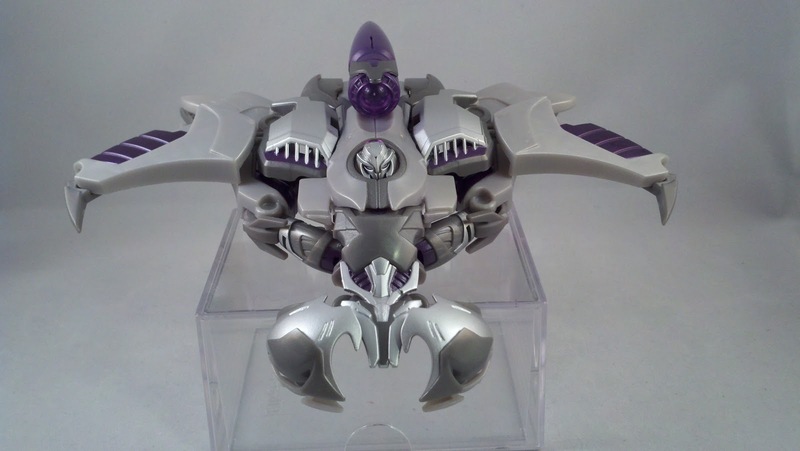 I've got an open 2011 SDCC one to compare him to and see if we can spot any differences. Pics, review, and megalomaniacal power tripping by Scion of Primus. Very nice, I wish I liked the designs of this series enough to want to buy them. I like the two packs though, that's a very nice touch! 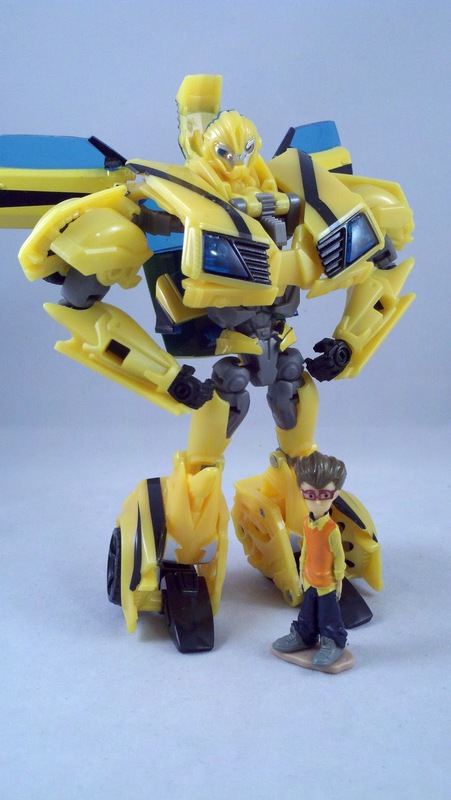 I find the series to be a nice mesh of Bayformers and classic look. 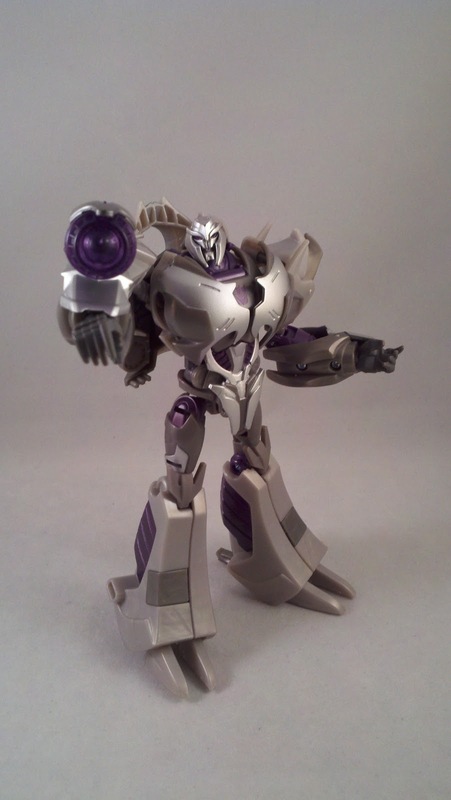 All versions of Transformers have a unique style to them, TF:Animated is a... prime... example. I think the thing that impresses me the most, especially with TF:Animated, is Hasbro's ability to make a toy that so closely resembles the show. TF:Animated had such a stylized look,yet Hasbro was able to put out some amazingly accurate product. 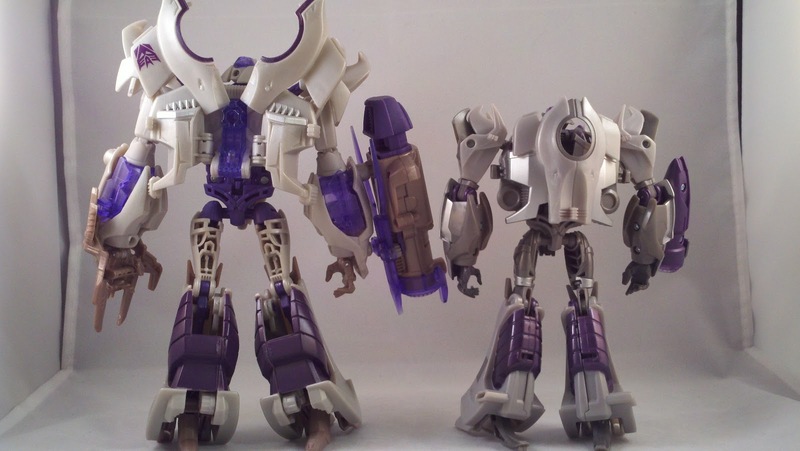 I think they are doing very well in this aspect with TF:Prime as well, which is one of the reasons I've been picking the figs up. I may not buy all of them, but the ones I have picked up, except Airachnid, have been good figures. 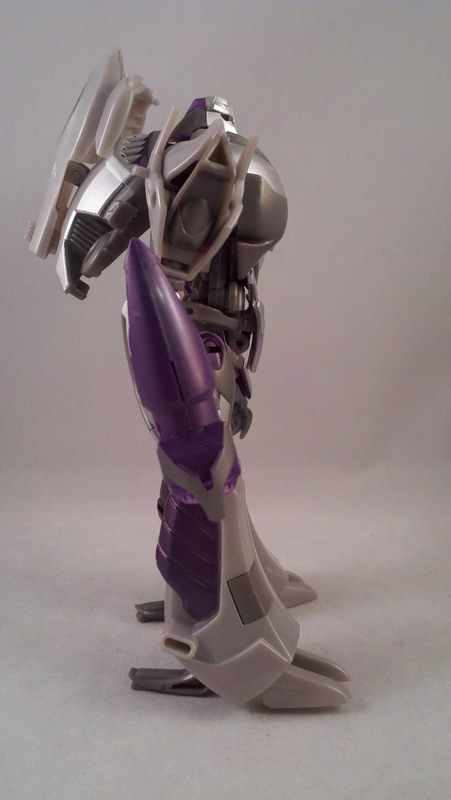 Oh yeah, I heard how horrible she is as a toy. 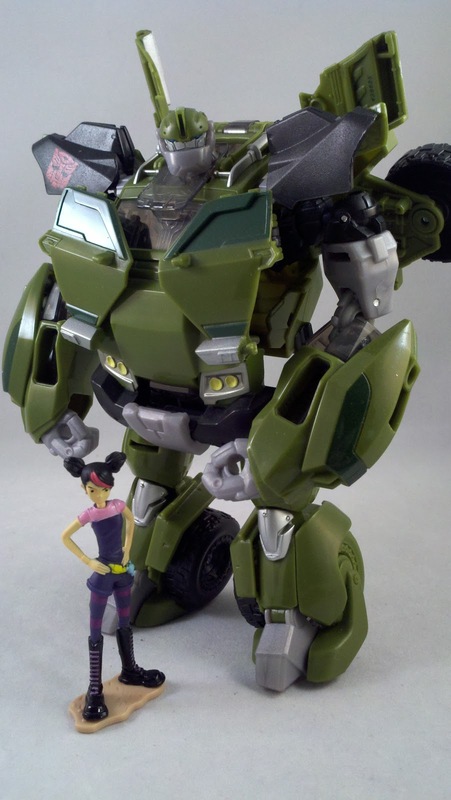 I have to say, I only have Kup and Rumble (and Red Kup Legion, lol, Ironhide) and they are great figures for sure. 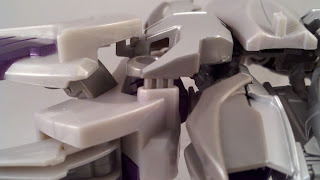 I just....meh...I like my Transformers to have...noses..and faces I guess. 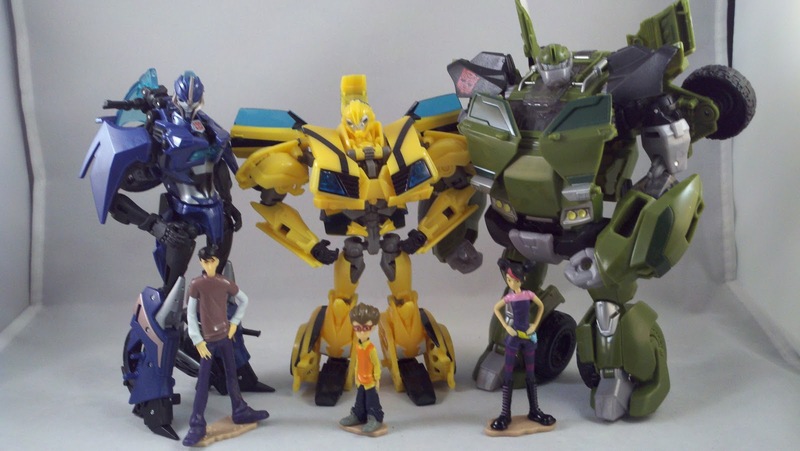 But I do watch the show and I can appreciate how good the toys look compared to their on screen images. 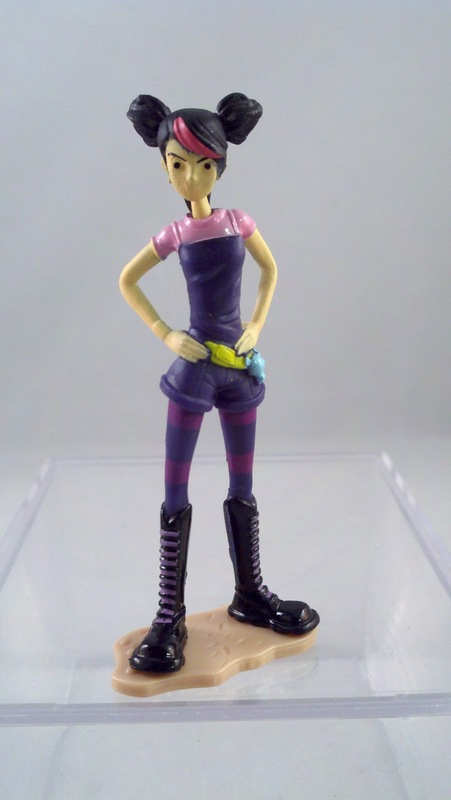 I believe Jackpot will be my first Animated figure. 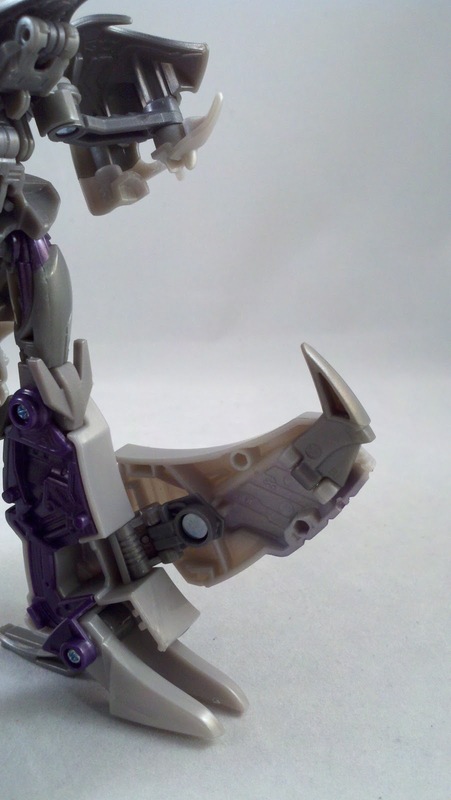 I never really watched TFA but I have noticed the striking accuracy of the toys to the few bits of the show I've seen. 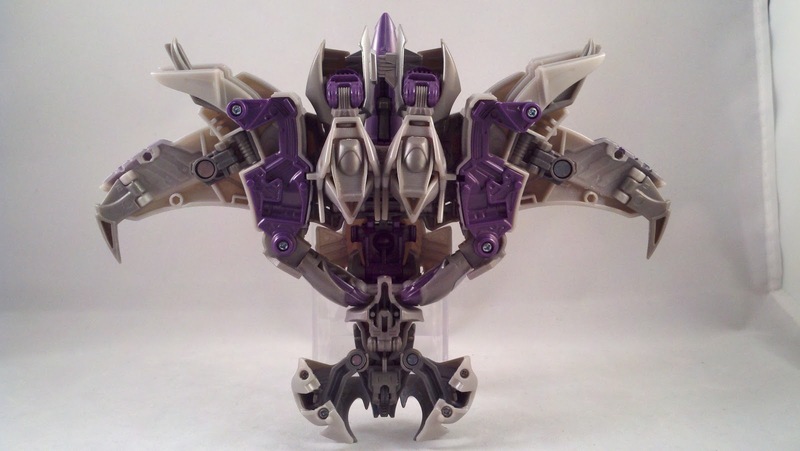 So far... Airachnid is the only TF:Prime figure I have buyer's remorse for. If you get the chance, watch Animated. It starts off kinda odd... human villains instead of Transformers... but gets really interesting by the end of Season 3. Sadly, only Seasons 1 and 2 were released on DVD stateside, so if you want 3, you'll have to find other means of watching it.